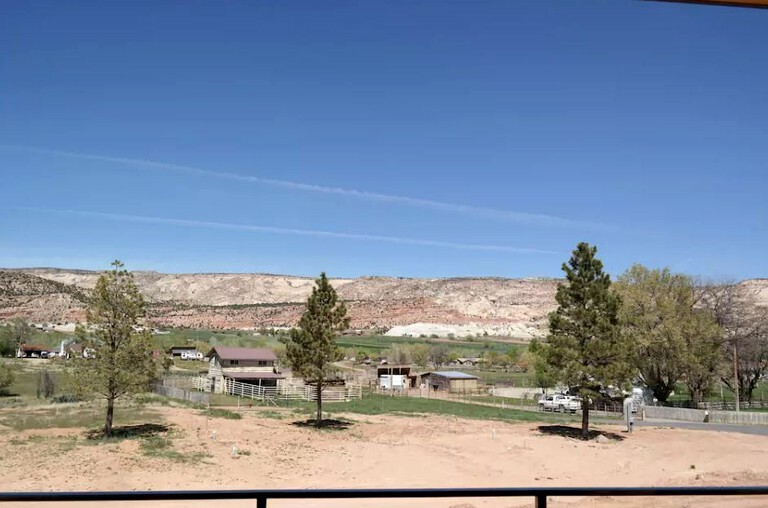 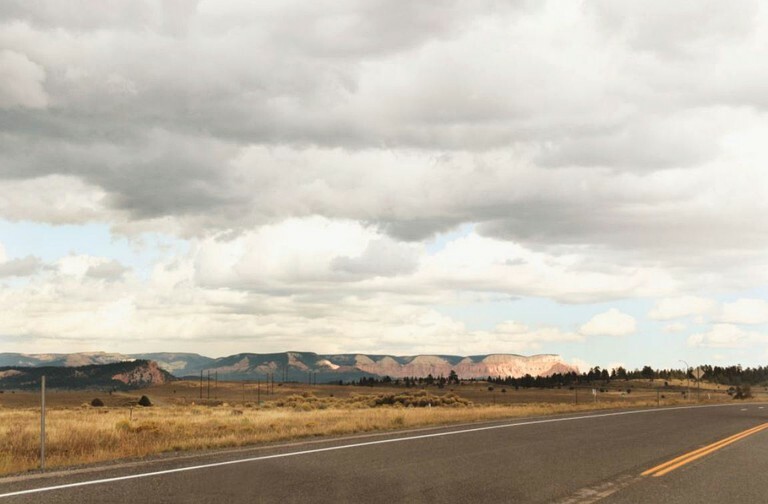 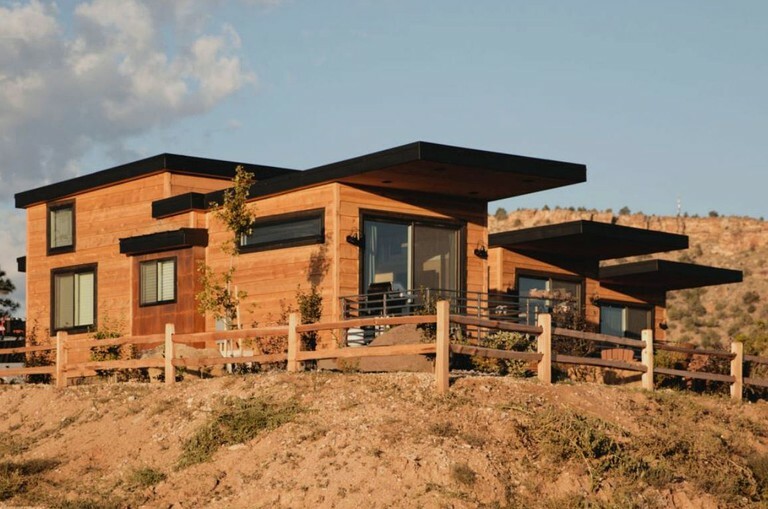 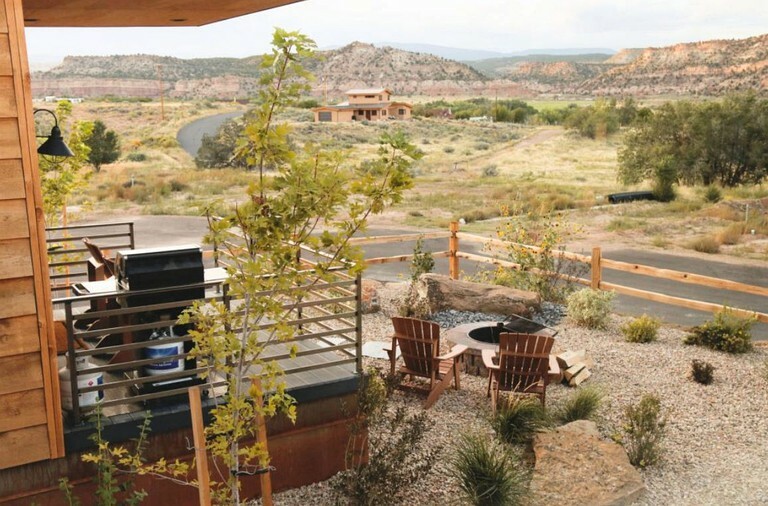 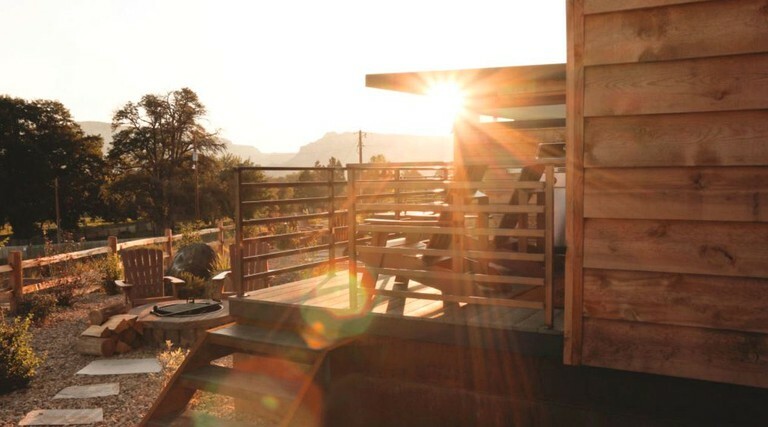 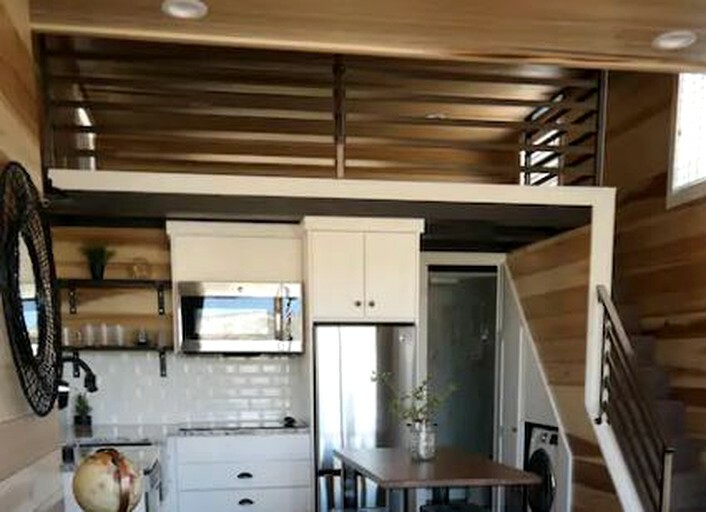 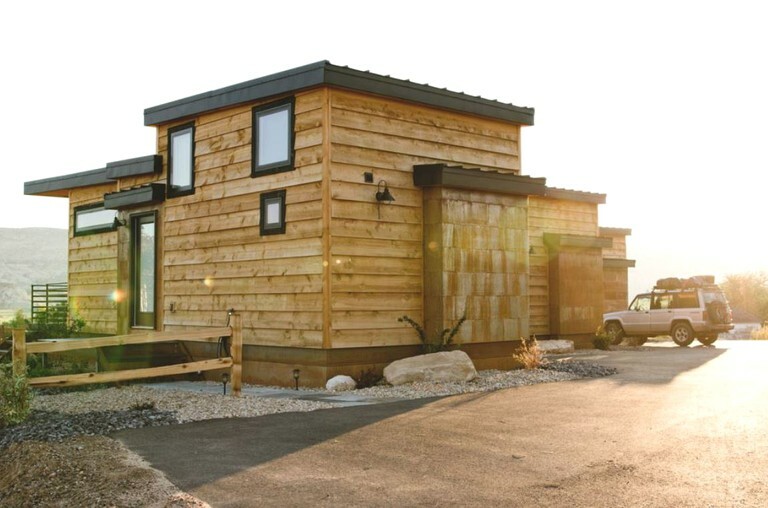 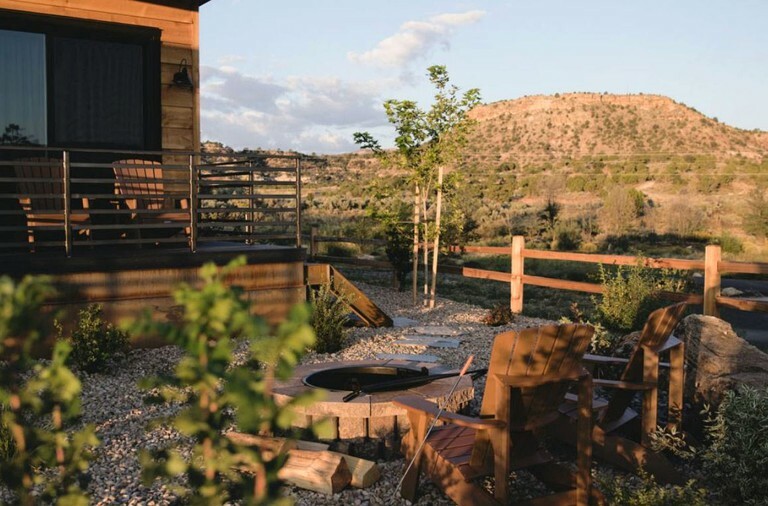 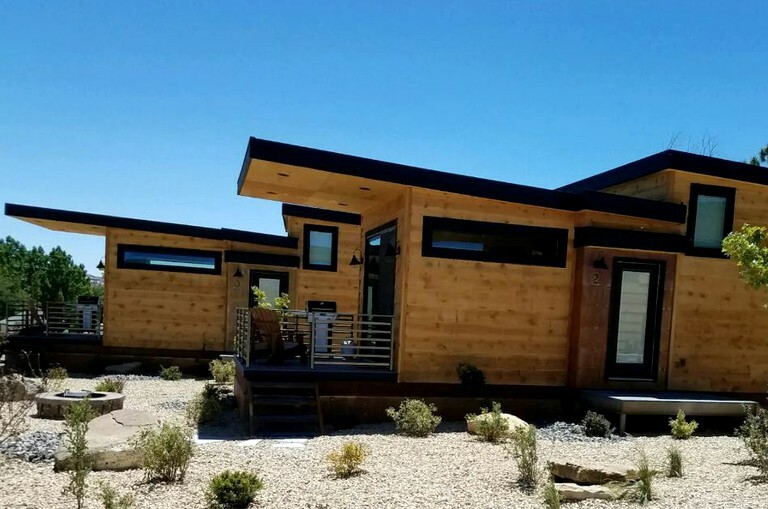 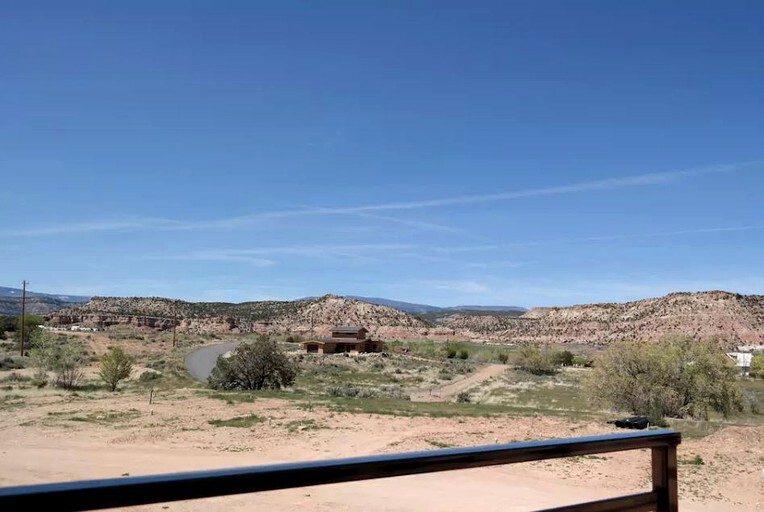 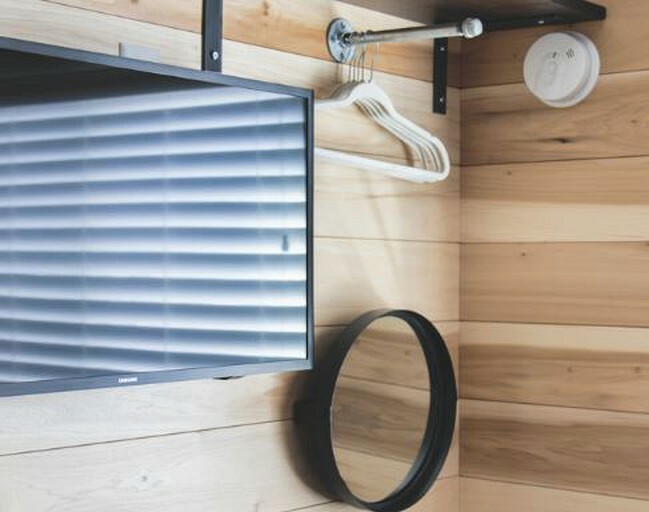 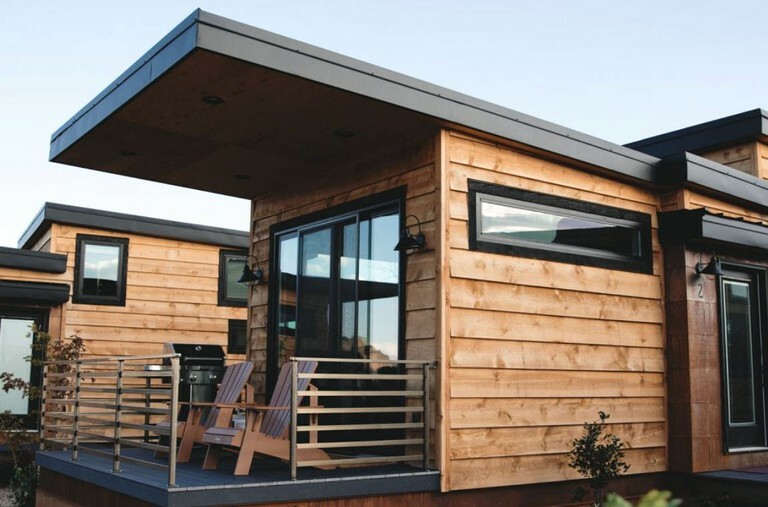 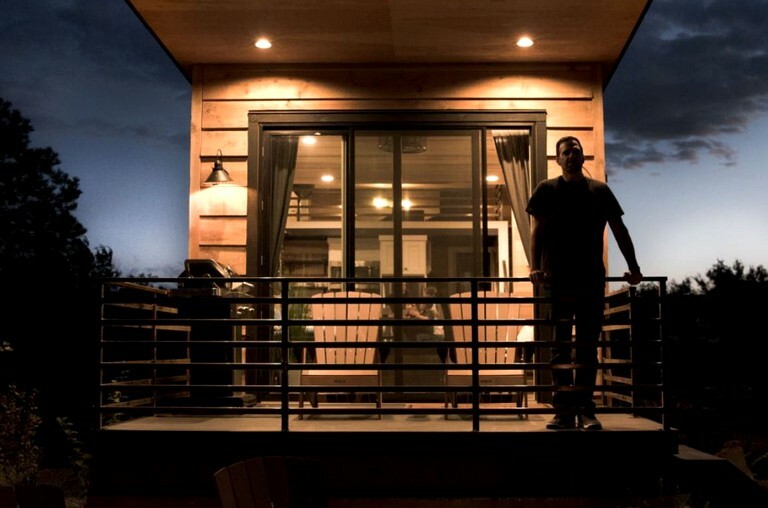 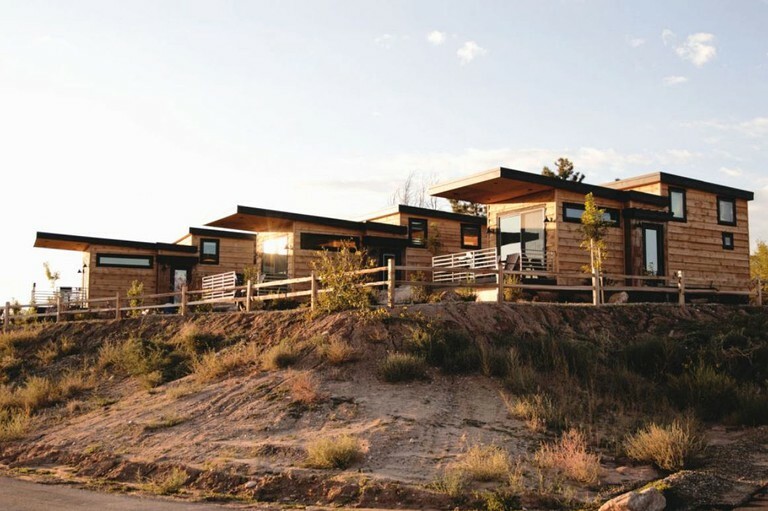 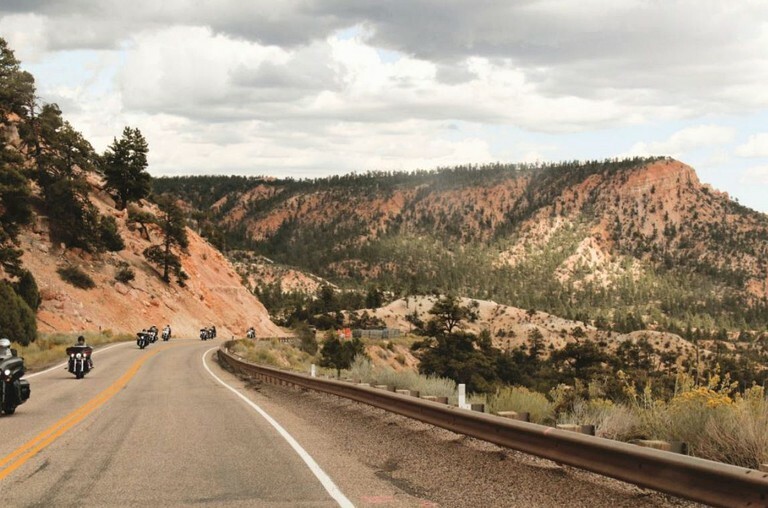 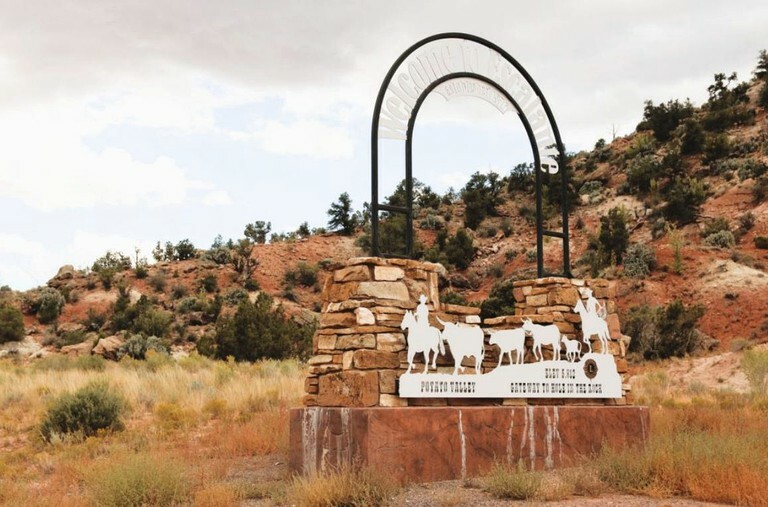 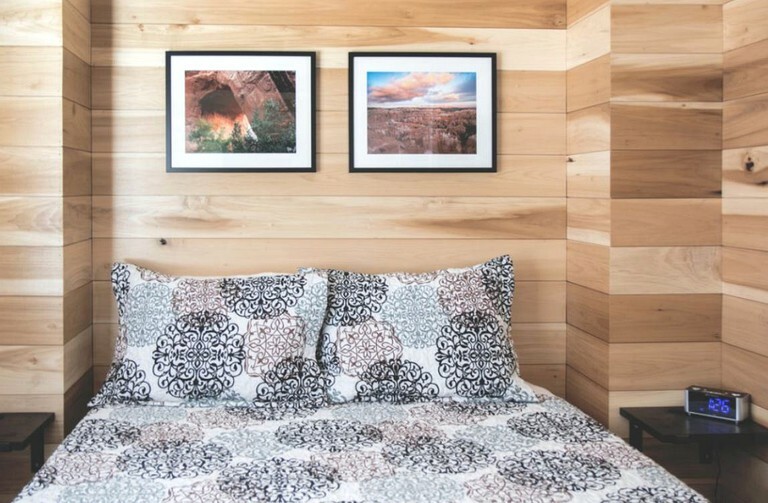 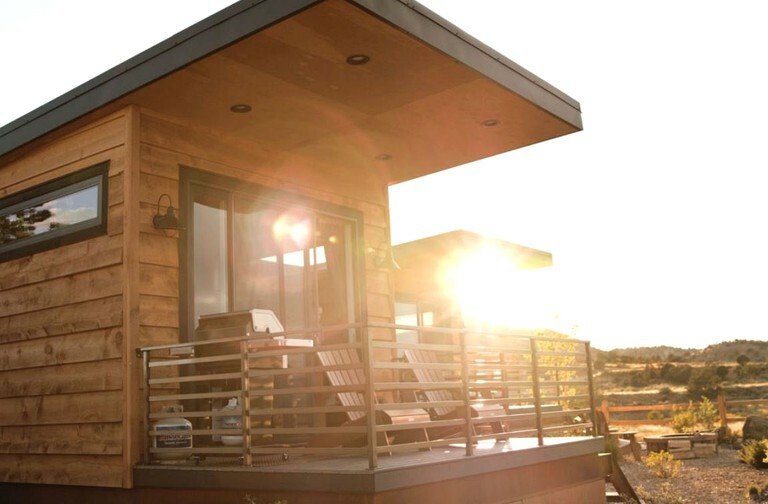 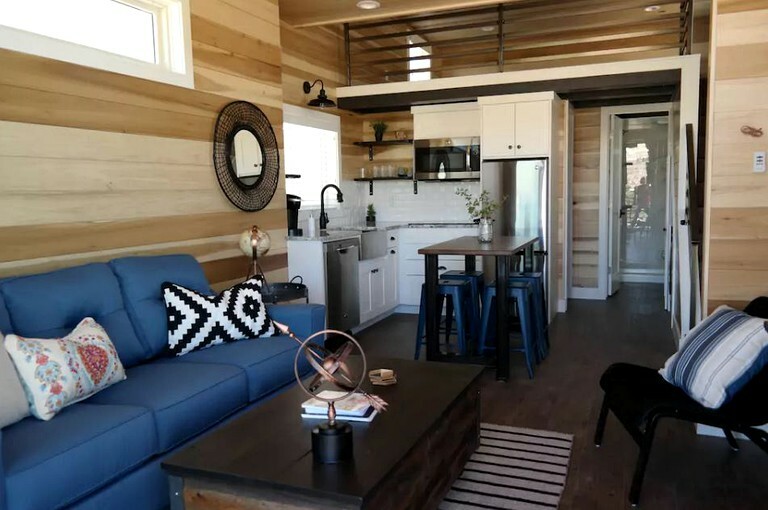 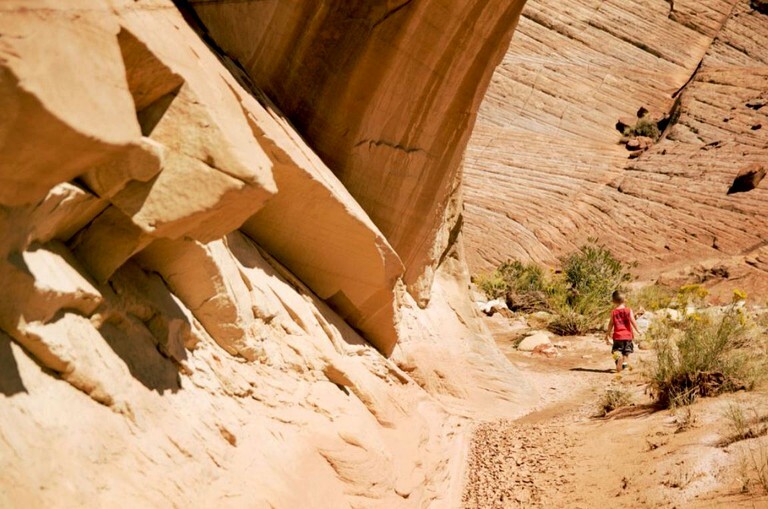 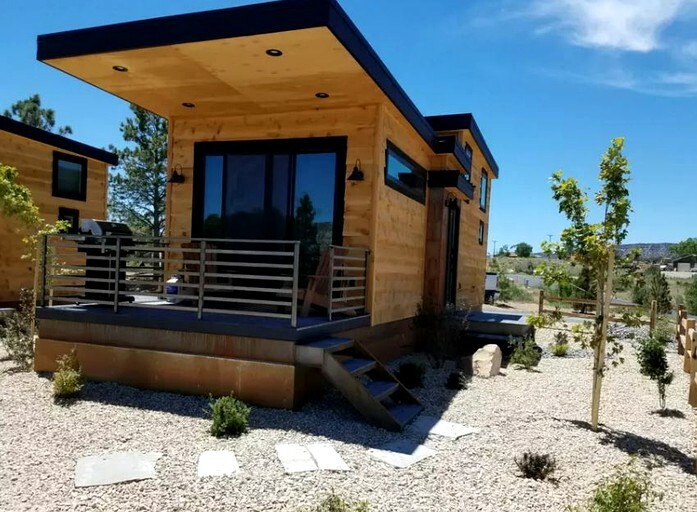 This fantastic tiny house rental boasts breathtaking desert views is situated near Escalante, Utah. 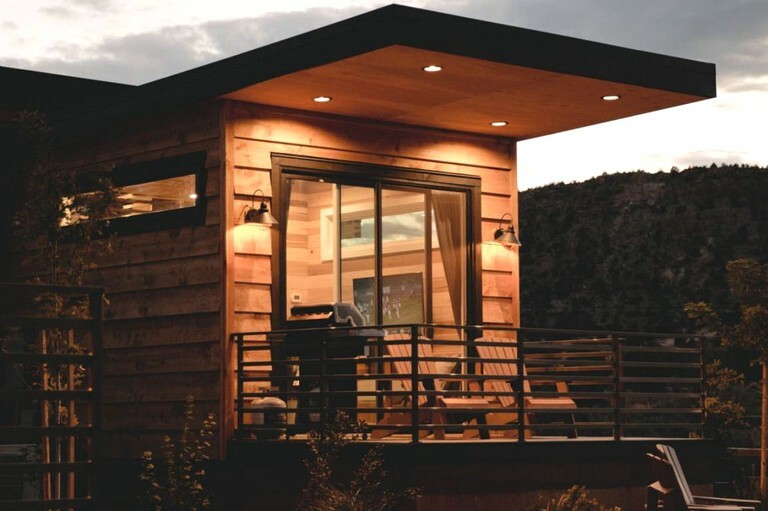 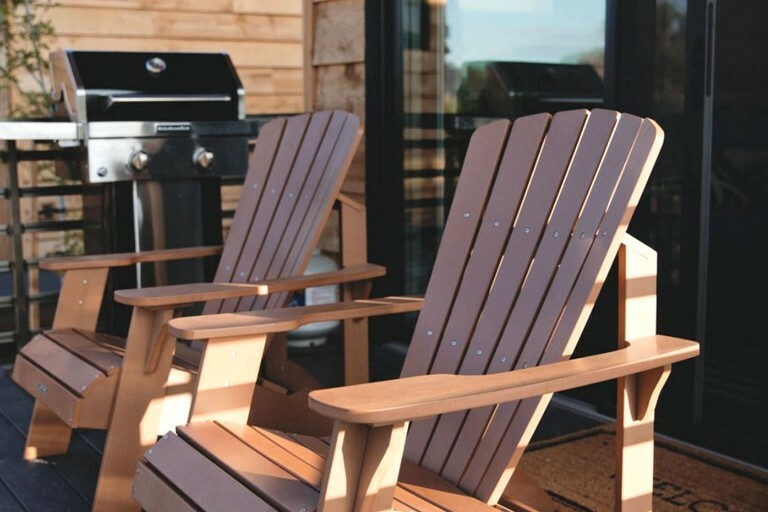 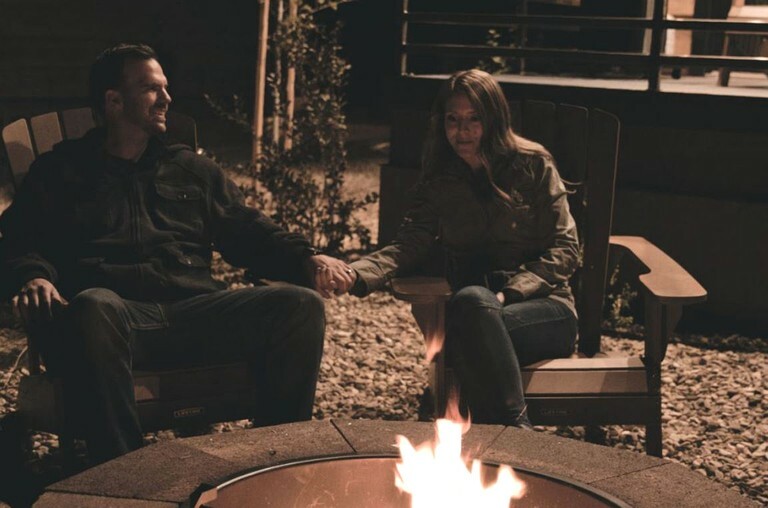 The tiny house can accommodate up to six guests and is the perfect accommodation for a relaxing desert getaway. 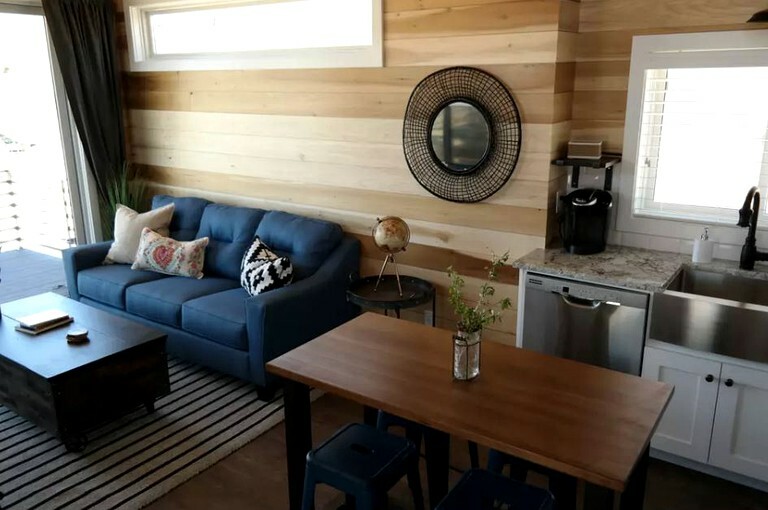 Inside, guests will find two bedrooms and one full bathroom. 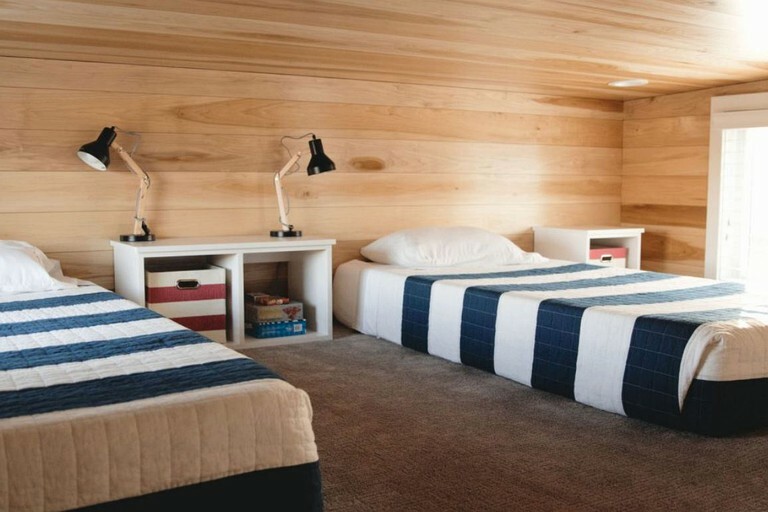 The first bedroom has a queen-size bed, while the loft-style bedroom offers two large twin-size beds. 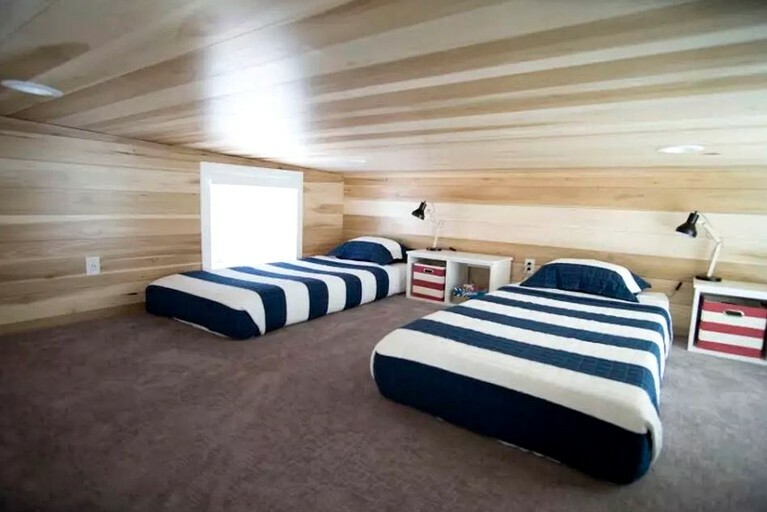 Additionally, there is a queen-size sleeper sofa for those who require extra space. 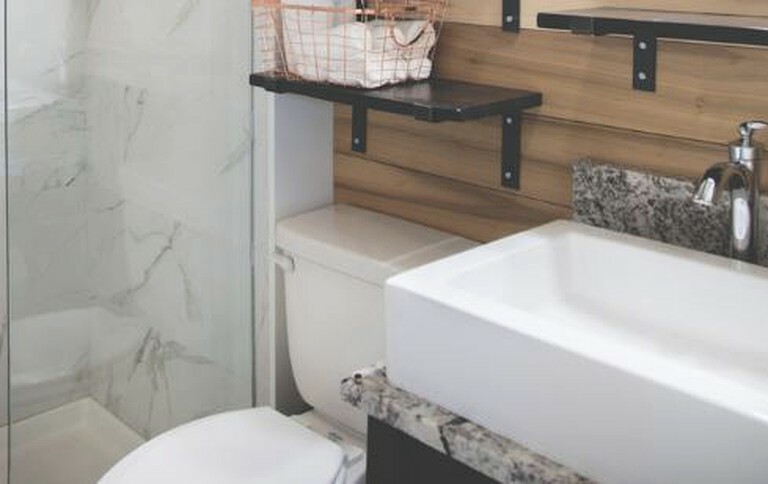 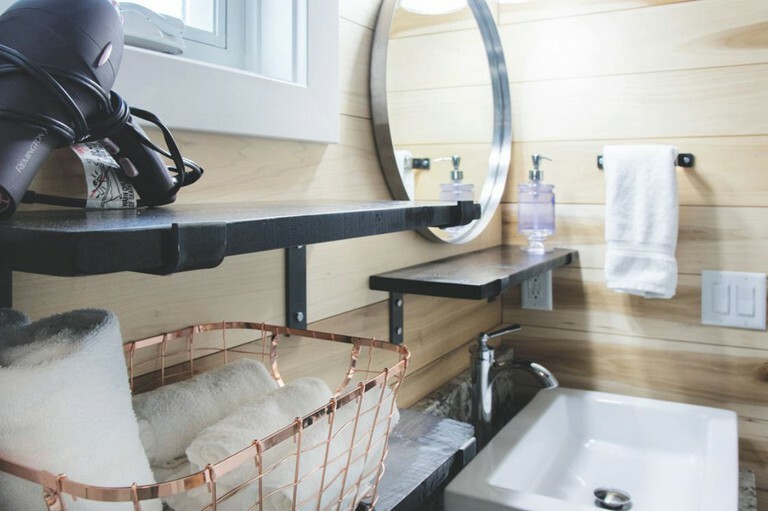 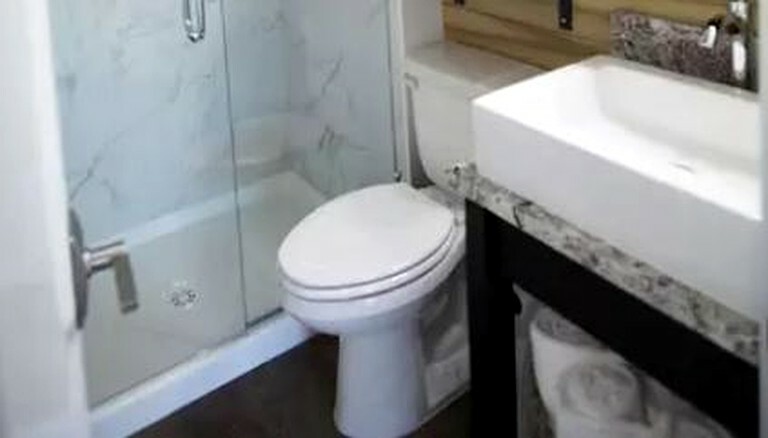 The beautiful bathroom features a toilet, a sink, and a marble walk-in shower. 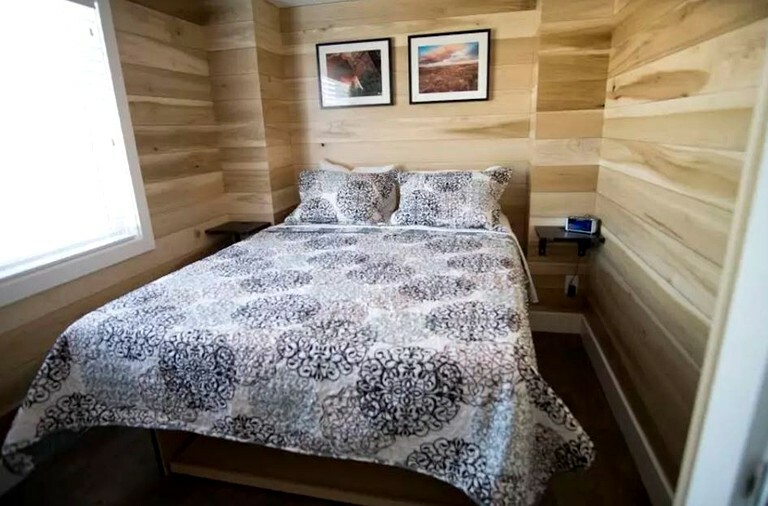 Linens and towels are kindly provided by the host. 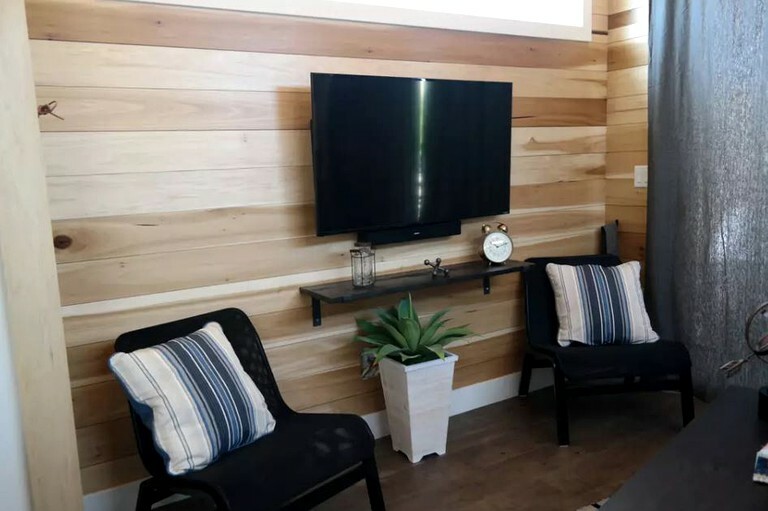 The inviting living area features natural wood walls with painted accents, a plush sofa, several chairs, a coffee table, and a 50-inch flat-screen TV. 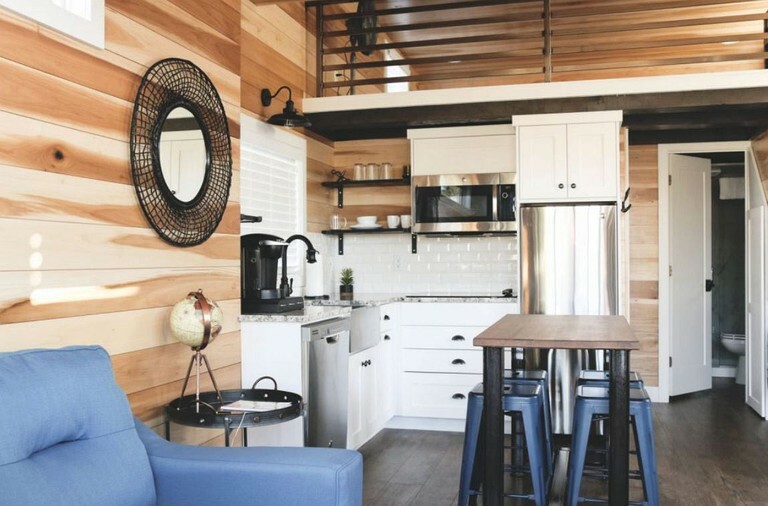 The kitchen is equipped with an array of cooking and serving utensils and all of the modern appliances guests might need to feel at home during their stay. 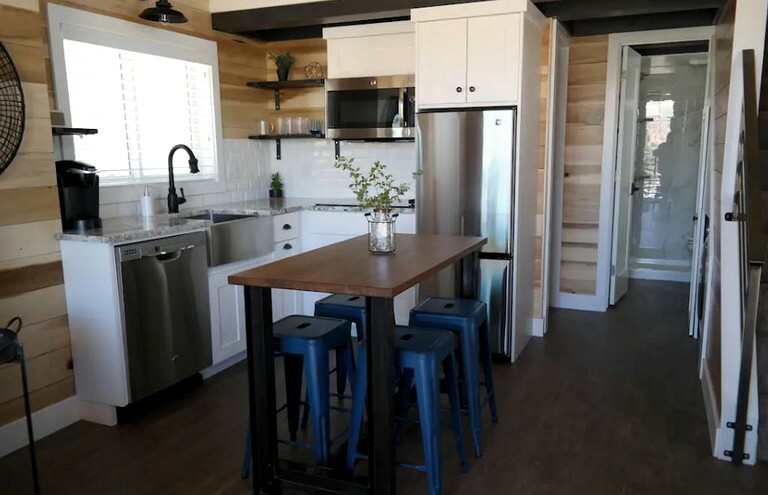 Additionally, guests can enjoy meals on one of four stool at the kitchen island.